Simple, convenient outfit but elegant: preciously handcrafted leather bag made in Italy. 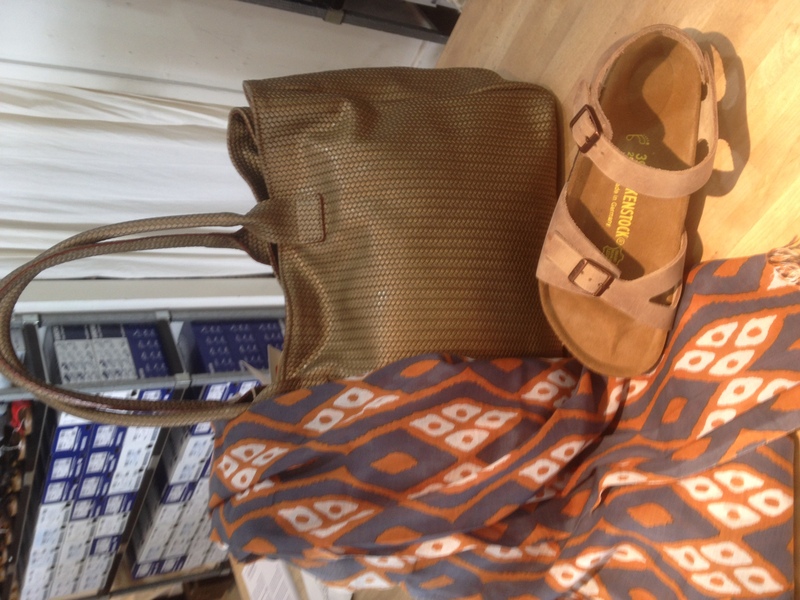 Cotton scarf and Birkenstock leather sandals. Questo articole è stato pubblicato in Birkenstock e contrassegnata con bag, Birkenstock, cotton, leather, sandals, scarf . Bookmark permalink . Matilde’s selection of the week! A sneak peek of our Autumn/Winter Collection at the Fashion Show at JUNIPER GALLERIES in Darlington! New Nature Inspired Handcrafted Jewellery from Italy!